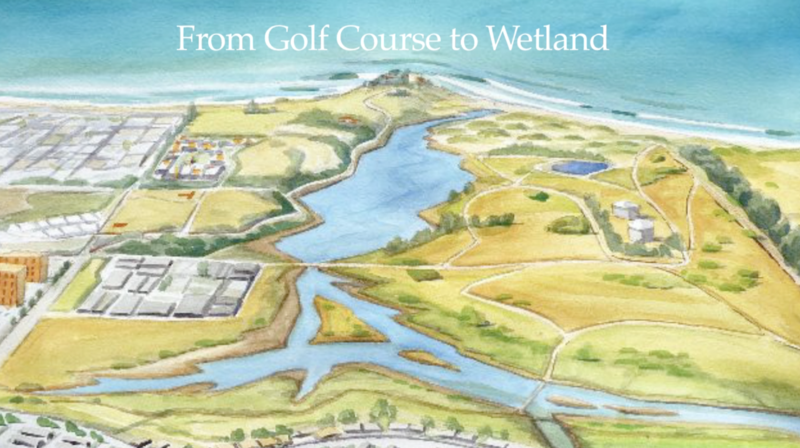 Michael Love documents the beginning stages of the restoration of the ocean Meadows Golf Course to the wetland it was historically. An ambitious and inspiring undertaking, this local project "North Campus Open Space" is still in progress, led by UCSB's Cheadle Center for Biodiversity & Ecological Restoration. The project connects several existing preserved properties, including UCSB's South Parcel, Coal Oil Point Reserve, as well as the City of Goleta's Sperling Preserve / Ellwood Mesa Open Space. Restoration of the estuary and natural flood plain will support a diversity of birds, fish, and wildlife; absorb flood waters; and is adaptive to sea level rise. Over 2.5 miles of trails provide scenic views and connectivity to the California Coastal Trail.